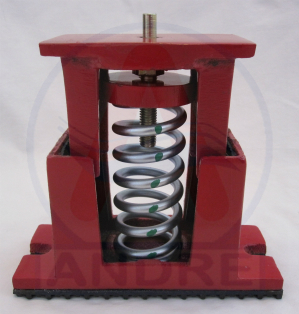 Type "Y-1" series spring mounts with two inch deflection solve critical vibration problems. These mounts are preferred over the one inch deflection mounts and most rubber mounts due to their higher static deflection. 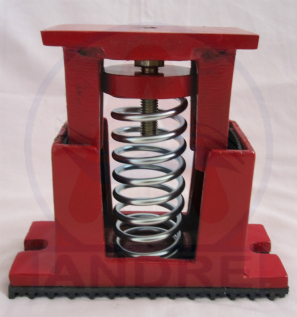 These mounts are normally recommended to building structures where negligible vibration transmission to the building is required. 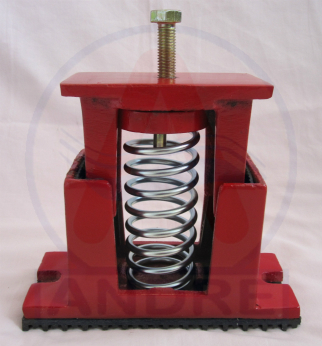 "Y-1" type spring mounts with two inch deflection are designed for noise and vibration control applications in critical areas on concrete or wooden floors. The Y-1 features a three piece cast iron housing for the spring. The mounts are provided with slotted mounting holes and a non-skid elastomeric acoustic pad on the base for bolting to the floor. 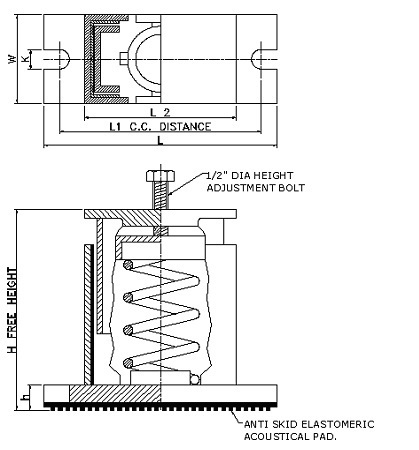 Resilient elastomeric snubbers on the inner panel prevent metal to metal contact and allow the spring to function properly. These mounts have a built in leveling device (external or internal). 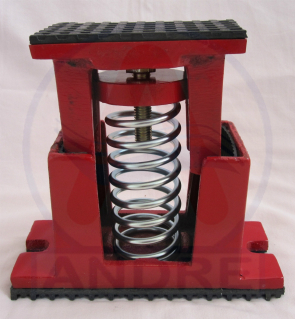 These spring mounts can also be supplied with flat top or non skid neoprene top surfaces in case of internal level adjustment. All springs are hot dip galvanized. Adjust mounting so that the upper housing clears the lower housing by at least 1/4" but not more than 1/2"
Copyright © 2011 ANDRE HVAC International Inc. All Rights Reserved.